Bismarck Commissioning. 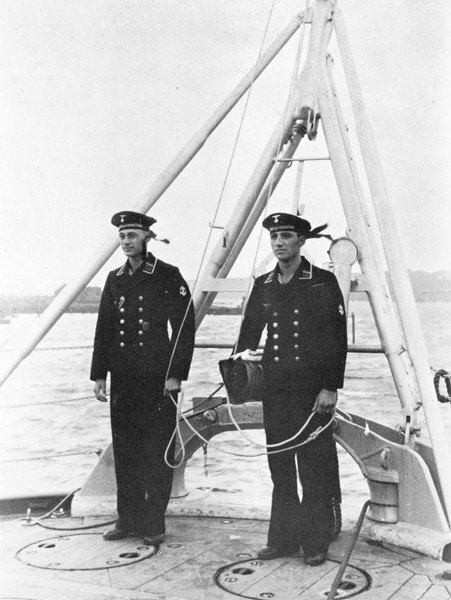 Two signal mates at the flagstaff on 24 August 1940. The sailor carrying the battle flag rolled up under his right arm is Obersignalmaat Franz J. Scharhag.